Although this isn’t my super exciting sewing purchase, I was really happy when this book showed up. I pre-ordered this book on Amazon, as I have been really loving my BurdaStyle magazines, and I was excited to see what was in the book. I think this book is clearly laid out – the book starts by discussing important tools, how to read and trace patterns, grainlines and fabric, and basic sewing techniques. It then goes on to give very detailed instructions for a skirt, a blouse, a dress, a coat, and a bag. 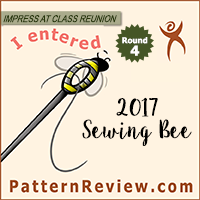 It includes three variations with instructions for each pattern, as well as photographs of lots of creative ideas for each of the five designs. The pattern pieces are included with the book, which is great. I really love the blouse, and I like elements of the coat, so I may make use of these patterns in the future. My overall impression is that this is the perfect book for someone who is interested in learning to sew clothes but doesn’t have a lot of experience. The book outlines the essentials of sewing without getting too bogged down in the details. It emphasizes creativity while still highlighting the importance of technique (pressing seams, etc.). Most of the other “learn to sew” type books tend to give “patterns” for aprons or toys or crafty items, which never held much interest for me, and I am sure aren’t of much interest for others who want to learn to sew garments. This, of course, is not an issue with BurdaStyle, which emphasizes the different garment patterns they have included. The instructions seem to be quite detailed, so they could be great for newer sewers. Also, these patterns do not have seam allowances (like the magazine patterns), and it gives some good advice about how to add seam allowances and why it is better to make pattern alterations without them. I really think this book would be especially good for teens or young adults who are interested in sewing trendy clothes and want to learn some of the basics. I don’t know that this is going to be one of my go-to books for sewing techniques, but I do like the inspiration and advice it gives for altering patterns to get totally different styles. While I feel very confident trying pattern alterations with skating costumes, I am usually less willing to experiment with regular clothing and I think this book may give me more ideas for making major pattern alterations. Of course, on the other hand, I really like trying out new patterns, so I don’t think that is going to stop just because of this book. However, I may be more open minded when looking at patterns – looking for details I like so I can incorporate them into other designs. Overall I would say this is a great book and fills a niche in the current sewing book market. I think it may be just a bit below my skill level at this point, but it is exactly the book I was looking for when I first started sewing. 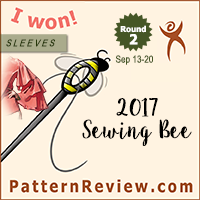 The inclusions of the patterns are great and make the purchase worth it for advanced sewers, and I really like that this book included designs from the BurdaStyle community members. I think it is great that they recognize the skill and creativity of the BurdaStyle users, and feature this in the book. However, I think where this book really excels is as a first sewing book for new sewers who want to learn about garment construction. It may not be my go-to book when I have a sewing question, but I am quite pleased with it and I feel it deserves a spot on my sewing book shelf. Burda’s official website for this book is here. There are links for purchase at Amazon, Barnes&Noble, and other websites. 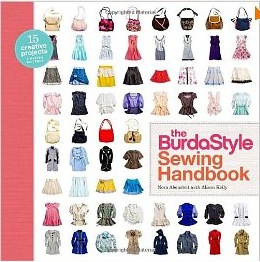 This book is also available in electronic format, with downloadable patterns of the BurdaStyle website.